Photo books don’t have to be hard to make at all. These themes were made for a smooth experience in less than 10 minutes. Select the photos you want, upload into our editor, and auto-fill! Your book will be done in seconds and you have a quick gift that looks like it took much longer to make. If Grandpa and Grandma are still struggling to open that photo email attachment you sent, fear not! Let’s make it easy on them and gift them a brag book full of their grandchildren’s photos from the year. Our softcover 6x6 layflat photo books (available US only) are portable and look amazing. Speaking of our 6x6 photo books, they make great stocking stuffers! You can still include your traditional goodies (socks, candies, coal, etc) and slip this stunning photo album alongside. Your family members will be so surprised! Finding a gift for your BFF is often a struggle. What do you get the person who has everything they need? Well, their most cherished possessions are definitely the memories they’ve shared with you. Why not compile your unique friendship in a photo book? They’ll be blown away by the thought and care you put into your gift. This is one gift they probably don’t have! You can upload your photos straight from your mobile device. Quick, easy, simple. We’ve said it before! 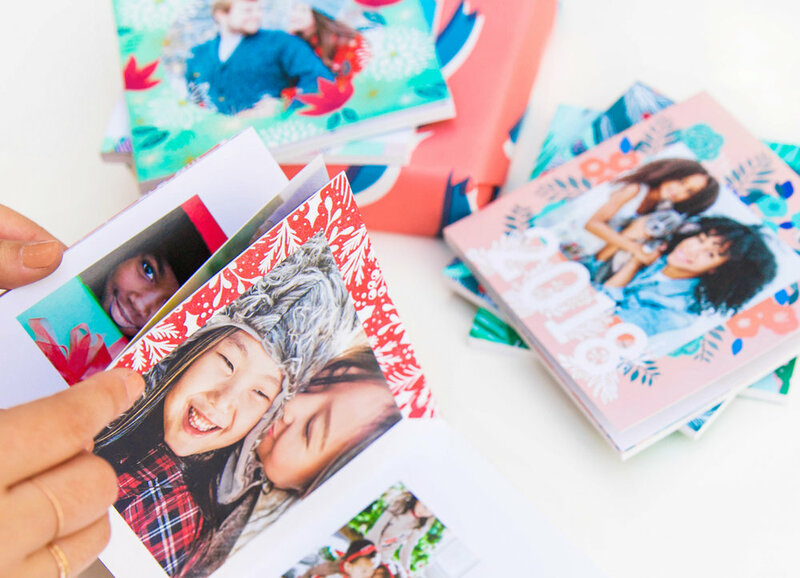 These limited edition photo books are photo-centric, with clean layouts, and ready to host your annual memories. Sort your photos by time and drag and drop right into the layouts. You’ll have a collection of yearly memories in no time, that look amazing. Start your holiday gifting today and you’ll be set before the Thanksgiving turkey is done.